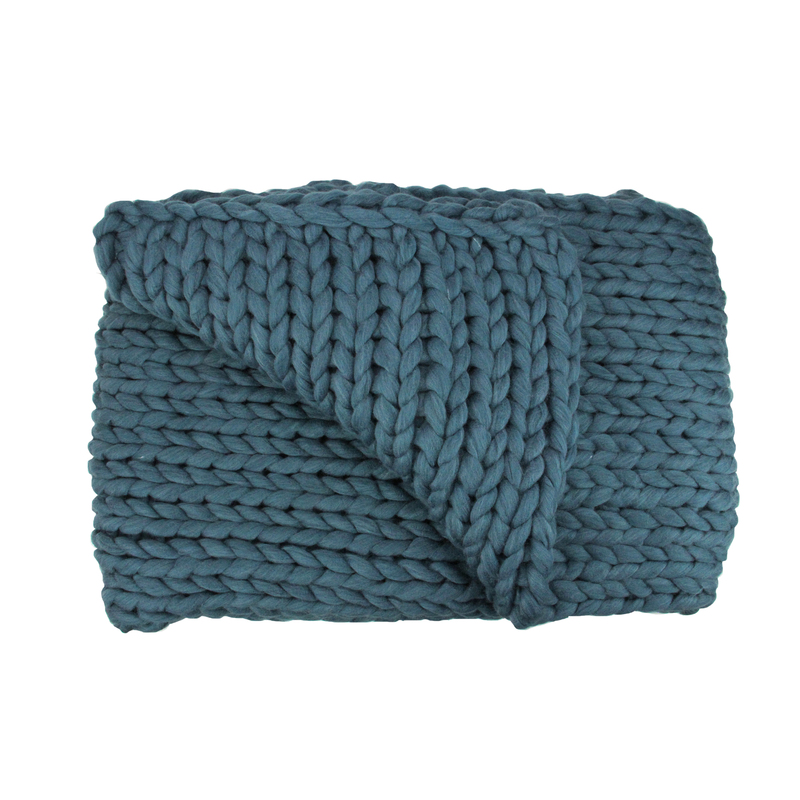 ›Teal Blue Cable Knit Plush Throw Blanket 60" x 50"
Teal Blue Cable Knit Plush Throw Blanket 60" x 50"
Keep warm through the winter season with this knitted throw blanket from the Juniper Rose Gold. Chunky and thick knit keeps you warm and cozy in chic style for those afternoon naps. Classic cable knit design makes it the perfect accent piece to display over sofas, chairs and beds.